Sixty percent of British kids have never heard of the Good Samaritan. And the story of the Crucifixion, 43%. Matthew 17:1-26; Genesis 17:1-27; 1 Corinthians 1:1-31; 2 Timothy 3:1-17; Job 17:1-16; Psalm 17:1-15; Proverbs 17:1-28; Joshua 17:1-18; Isaiah 17:1-14; Acts 17:1-34 – New Living Translation – NLT – Online Bible Study. … there is a shortage of quality reading material and a shortage of people willing and able to read such material. I’ll take it a step further and say that reading quality Bible-related literature requires thinking, and in my opinion most folks don’t want to do the work of thinking (or don’t know how to think critically). It’s easier to have someone spoon-feed me than to read, think, and arrive at a sound conclusion. Couple that with the pervasive notion that “it really doesn’t matter anyway” and any motive for reading (other than entertainment) evaporates. We have our work cut out for us in convincing people that truth exists and can be known, that it matters, and that it is worth the time and effort to read, think, and learn the truth. What do you think of his assertions? Agree or disagree? I know people who have done it. There are plans aplenty for doing it. The Bible in 90 days. I’ve been doing this reading schedule for the New Testament this year, a slow, easy read. But I’ve missed the Old Testament and am feeling the need to dive into it again. So I decided to do a 90-day read on the OT using this schedule. In other words, I’m continuing my NT plan and the Daily Bible devotionals that are based on it. I’m adding the OT portion for 90 days. I’m going to start Sept. 15. Anybody game to join me, either the OT reading by itself or, if you don’t have a plan at all, the whole Bible? I may post an item a day, maybe, no promises, from the readings, on my blog. You’re free to comment on them as we go. Always good to have a group to encourage one another. Good, also, to make public your spiritual intentions, so you can’t weasel out. But by now you’ve probably made a long, strong list of excuses as to why you can’t. Reexamine those. Really? Pop me an email, or through the Ask page, or with a comment below. Is there any value to offering the random selection of a Bible verse on a website? It’s the virtual equivalent of letting the Bible fall open and pointing a finger, with eyes closed, to a verse on the page. The obvious drawback to random selection is the loss of contextual meaning. That drawback is real. We won’t find the will of God for us today by doing something to that effect. Without the full context, the verse doesn’t say much, does it? Who was sitting at the table? Who was the prophet who received the word of the Lord, and whom had he brought back? From where? What was the Lord’s word? Was it a good word? Rather than a shot in the arm, a thought for the day, or a truth to ponder, the verse raises questions, if that. Probably, your average Joe would either refresh the page to try again, a la Spurgeon’s poor victim, or browse on in hopes of finding the needed jolt. It gets before people scriptures from books and chapters that might not otherwise be considered. We tend to gravitate toward our favorite passages. A random verse challenges us to get outside our comfort scriptures. It may create curiosity to explore further, just as the verse cited above is an open invitation. As part of a narrative or greater work, a random verse may spur the eyeballer to research the context and draw out the meaning. 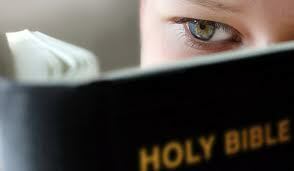 It reminds us that all of the Bible is God’s word and deserves study and meditation. A random verse invites us to ask what truth it holds, what application for us, if any, there might be. If it’s in the Bible, it’s there for a reason. Just because it’s a random verse, shown apart from its context (which is different from being out of context), is no reason to reject such a service. After all, many a preacher and televangelist ignore the context and the plain meaning of Scripture while waving the entire Bible at the hearers or viewers. Here are one man’s ideas about making random verses work best, and what to look for when you search for or create such a service. Some sites offer random verses only in the sense of appearing in no predetermined order. The owners, however, have chosen a restricted number of hand-picked verses, not an ideal offering to my mind. 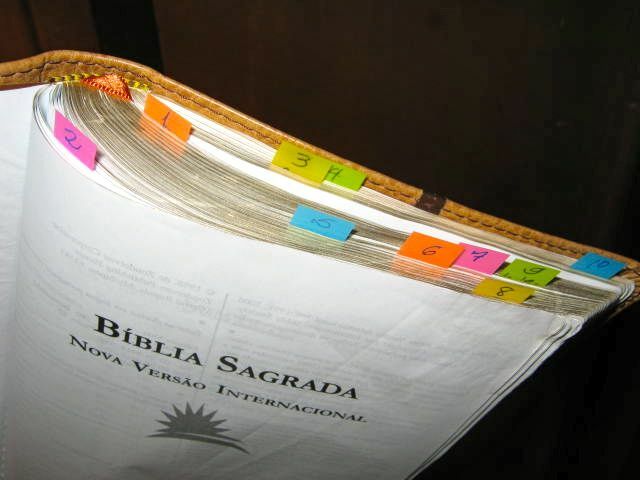 Why not use the whole Bible? With the random verse, a link to the entire chapter in which the verse occurs would provide instant access to the context. No disadvantages to that, are there? Most really random-verse pages use the KJV, apparently, for copyright or technical reasons. But copyright is not really an issue. A good version like the NET Bible would be ideal. Please don’t make people furrow their brows over thees and thous. It’s impossible to know if many services like NET Bible and ESV.org use the entire Bible or if they belong to the group in #1 with hand-picked verses. It seems the former use the whole Bible in their random verse. Perhaps you can think of other drawbacks and advantages to such a service. In a follow-up, with the Lord’s help, we’ll talk about who we’re trying to reach with such services. On the whole, it would seem that any effort to get the word of God in front of people would be a good thing. … our God turned the curse into a blessing. During a public reading of Scripture, Israel discovered how God had acted to protect his people as they approached the promised land.